“Alita: Battle Angel” is an intense ride filled with amazing fight sequences and an interesting, albeit sometimes confusing, science fiction story. Hollywood has a sordid past when it comes to manga, or Japanese comic, adaptations. However, director Robert Rodriguez and writer James Cameron’s attempt to bring the intense manga “Gunnm” the Japanese title originally given to the manga, to the big screen shows care for the characters and the genre as a whole. Rodriguez has shown himself capable of handling the transition from the comic page to the big screen with “Sin City,” and “Alita” benefits from his experience. “Alita: Battle Angel” is a delightful explosion of Computer-Generated Imagery that is blended, almost without notice, with the real actors who are on screen. The main character, Alita, is played by Rosa Salazar. The first thing the audience will notice are the exaggerated eyes that Alita has, which are very characteristic of manga characters’ art style. Alita goes from a wide-eyed innocent to a capable fighter throughout the movie, and Salazar hits all the right notes in her characterization. Salazar knows how to effectively go from kind to warrior at the drop of a hat. Her talent is really apparent in a simple exchange Alita has with Hugo, played by Keean Johnson, in a bar for bounty hunters. Johnson, as Hugo, does well in playing the love interest who has a secret that he is trying to hide. Unfortunately, Hugo seems more like a one-note character compared to the more complex character of Alita. Mahershala Ali, who plays the main antagonist Vector, is seriously under utilized. His role is more of a go-between for Alita and the true villain, whereas each other character has a moment that shows their importance. Vector is more of a cause rather than an effect to the storyline. It would have been interesting if more was given to the character to do other than bark orders here and there. Finally, rounding out the cast is Christoph Waltz as Dr. Dyson Ido. Ido is Alita’s father figure and the audience’s emotional tie to Alita. Throughout the movie, Salazar and Waltz’ interactions are some of the more emotional and, at times, comedic scenes of the movie. The story itself focuses on Alita’s need to find out more about herself, her past and why she is in the situation she’s in. The world created in the manga is a future version of earth that has been decimated by war. This war emphasizes heavily why everything on earth is either somewhat, or almost entirely, robotic. 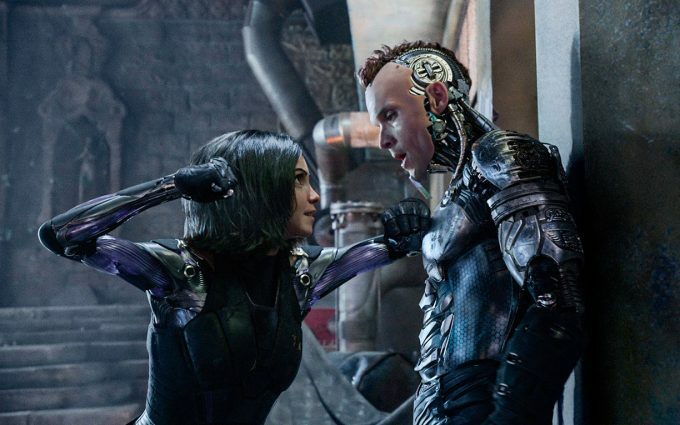 Despite having earth as the main setting, the war that transpires is home to some of the more interesting reveals about Alita and her importance to the main antagonists in the film. There are many moving parts to this story, from the disparities between classes, the unknown murder early on, to the importance of Alita’s existence. Sometimes, the multiple parts of the story seem to not have definitive answers or at best only partial ones. This is somewhat to be expected since it seems that the movie is just the beginning of a franchise. The fact that the “Alita” series has volumes of manga to draw inspiration for future stories, maybe why some answers are being held until future installments of the movie series. “Altia: Battle Angel” provides thrilling fight sequences, amazing and intricate CGI and a story that contains quite a number of left turns and unanswered questions. The movie manages to draw audiences deep into Alita’s world and leaves them wanting more. “Alita: Battle Angel” is rated PG-13 and releases on February 14.